A Korean student production prevailed at the 18th Holland Animation Film Festival, picking up the Grand Prix for feature film. Produced by the Korean Academy of Film Arts (KAFA), HUR Bum-wook’s On the White Planet was the second consecutive Korean feature to pick up the prize in the Utrecht, Netherlands-based fest. 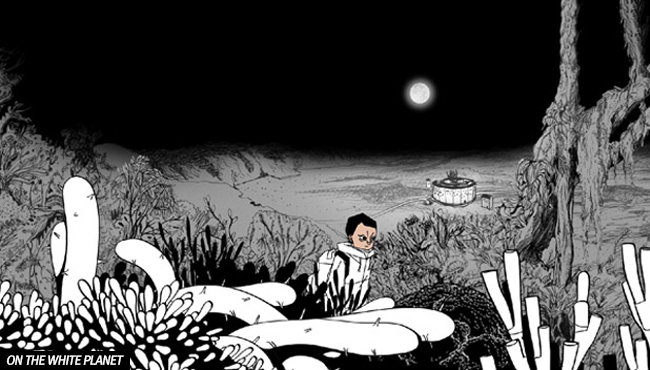 The feature debut of HUR, On the White Planet follows a young boy who is born with yellow skin in a world devoid of color. Ostracised for being different, he lives a hard life, which is only made more desperate when his mother takes her own life when he turns 16. The film follows YEON Sang-ho’s The Fake, which picked up the Grand Prix last year. On the White Planet debuted at the Bucheon International Student Animation Film Festival (PISAF), where it screened alongside fellow KAFA animation Crimson Whale, from PARK Hye-mi. The film also screened at the Gijon International Film Festival last year.